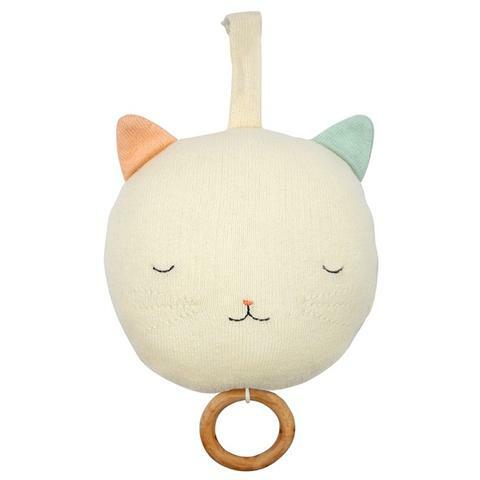 This delightful musical toy comes in the style of a cute kitty with colorful pointy ears. Pull the cord and it plays a delightful tune. 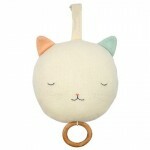 The toy is crafted in organic cotton with embroidered details. Knitted organic cotton. Wooden pull ring music box. Stitched facial feature & gold thread detail. Approx. size: 80 x 140 x 40mm.